I guess it’s only natural in the cycle of fashion that this pattern is coming back. 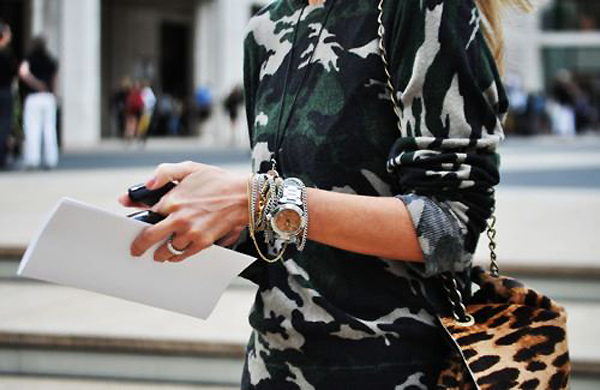 After years of designers being influenced by everything military, camouflage is creeping back into the pages of style blogs and onto the streets, promoted by Carine Roitfeld and Columbine Smille among others. I’ve never really disliked this pattern. I owned camouflage pants when I was 12 and adored them. It’s one of those patterns people swear they’ll never wear – which they probably will at some point. I feel that way about leopard print by the way, I’ve never owned anything leo. But never say never. Also, for more than 2 years we’ve been seeing denim jackets everywhere and I need an alternative summer jacket. 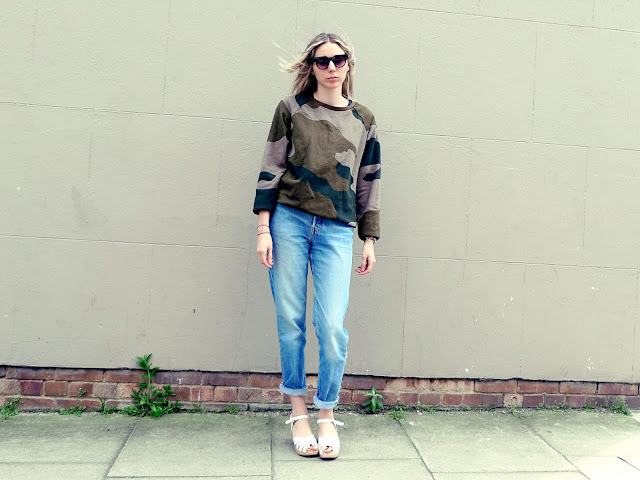 I say: Yes to camouflage!